The thinnest and lightest Surface starts at $399, but who is it aimed at? 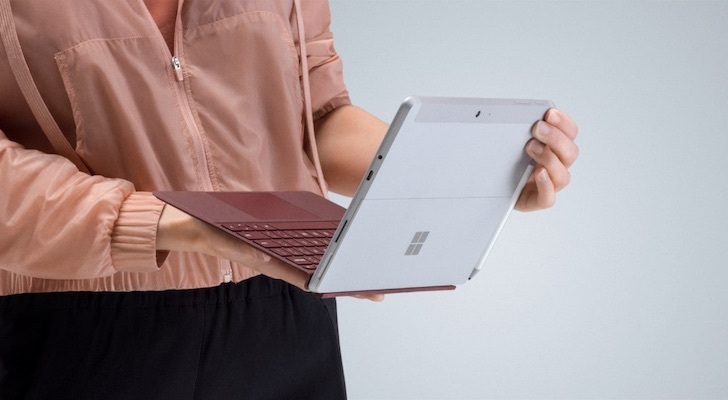 On July 10, Microsoft Corporation (NASDAQ:MSFT) took the wraps off the Surface Go, its thinnest and lightest Surface tablet to date. At a starting price of $399, it’s also the most affordable product in the company’s Surface lineup. That all sounds good, but dig a little deeper and there are some questions about who exactly Microsoft is expecting to buy this new tablet. If the company miscalculated its market, the spectre of its first consumer tablet looms. In 2013, the Surface RT missed the mark so badly it resulted in a $900 million write down that triggered a 12% pummelling of MSFT stock. There have been rumors for months that Microsoft has been working on a smaller, cheaper Surface tablet. With sales from the Surface division strong, there was the potential to boost revenue (and potentially MSFT stock as well) by going after consumers and businesses who wanted something smaller and less expensive than the Surface Laptop or Surface Pro –both of which start at $799. Get the formula right to take on the category-leading Apple Inc. (NASDAQ:AAPL) iPad, and there could be a significant payoff. There is also the opportunity to take on those pesky Chromebooks that have been taking over the education market and are now eying the business world. On July 10, Microsoft confirmed the rumors, announcing the new Surface Go. It looks just like the Surface Pro, only smaller. And with a starting price of $399, it’s also less much less expensive. Here’s what we know about the Surface Go so far. Who is Going to Buy the Surface Go? That’s a big question. Microsoft has taken repeated shots at a consumer tablet with results running from the Surface RT disaster to the Surface 3 –which was discontinued without a replacement a year and a half ago after lacklustre sales. There are real implications for Surface division revenue and MSFT stock in this release. Based on what Microsoft released, we can probably rule out most iPad buyers as Surface Go customers. The Surface Go is a similar size, but it starts at $70 more and more importantly, it lacks the App Store. It’s not a pick up and go casual entertainment and productivity device in the same way the iPad is, more of a really compact Windows computer. As an affordable Windows laptop, it may also be a tough sell. That $399 configuration is the tablet only, and a bare-bones setup. But it’s already pricier than many Chromebooks. Boost it to a decent 8GB of RAM and move from the 64GB of slower eMMC storage to a 128GB SD and include the optional Signature Type Cover to give it a keyboard, and the Surface Go is now approaching $700. That makes the Surface Go as a laptop more expensive than all but a few premium Chromebooks, which is likely going to limit the education market appeal. It’s also more expensive than many Windows laptops. They won’t be as portable, but will typically have a better keyboard experience, more ports, more storage and a faster processor. That leaves Surface Pro fans who want something more affordable and/or more compact. There are certainly going to be some of those, but will they be enough to make the Surface Go a success? We’ll find out soon if the Surface Go is a hit or a miss for the company, and a drag on MSFT stock or a boost. The new tablet is available for pre-order now, and available in stores starting August 2 — just in time for back-to-school. Article printed from InvestorPlace Media, https://investorplace.com/2018/07/microsoft-announces-surface-go-the-rumored-cheap-surface-tablet/.